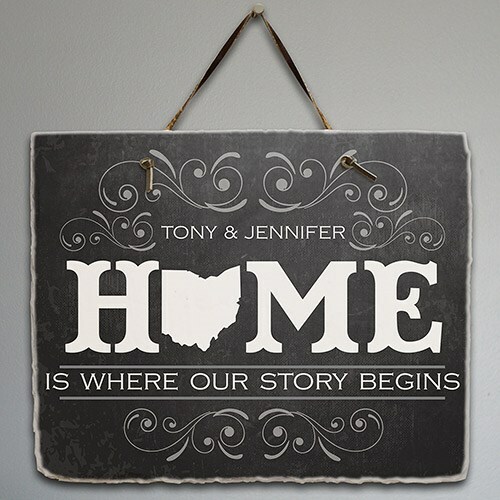 Personalized Our Home State Welcome Slate Plaque. This plaque you can use it for any ideal like family names and any state to make the perfect sign. Slate Plaque can be hanged on the wall inside of home or out side of home, cabin, resort, vacation home. Perfect gift for Bridal Showers, Wedding Gifts, family or Anniversary gifts!